Wolf Warehousing will reduce your fixed asset costs by eliminating the need for expensive warehousing equipment and storage space. Save even more money by lowering your overhead costs by reducing labor, maintenance costs and expensive benefits. We understand the importance of highly accurate order fulfillment and timely shipping, one of our specialists will design a program to tailor to your individual needs. We will work with you to design creative solutions enabling you to greatly reduce order cancellations and returns as well as better isolate and control costs while decreasing order-turn time and significantly increasing your customer service levels, In addition to lowering your overhead costs. We are dedicated to implementing a client centric program that provides your business with the flexibility it needs. We are highly responsive and accommodating to each client and flexible in our approach in solving your supply chain needs. 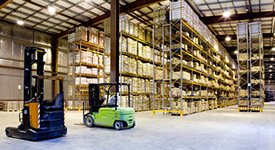 At Wolf Warehousing and Logistics our services can be scaled and customized based on market conditions, demands and delivery service requirements. Our personal approach and large selection of solutions provides you the flexibility needed in today’s constantly changing economy. Ask one of our professionals today to design a solution for your business weather its part of your supply chain or a complete solution.